Goodbye to the Big Guy Growing up, Lee Dittemore always embraced the role of being the “big guy.” Sometimes quite literally. “When I was in college, I weighed over 300 pounds and I’ll never forget my acting professor excitedly proclaiming that I was his ‘token fat guy’ and, from there, I was typecast,” Lee remembered. “I loved him to death and I know he cared about me too, but hearing those words made me wonder if that’s how people really saw me.” Those words haunted Lee and he was determined to break out of the role that he had, until now, so cheerfully embraced. He joined a gym, quickly started losing weight and almost immediately felt better and more energetic. Then, life happened — college graduation, first jobs, marriage, kids. He regained the weight and re-embraced the big guy role. Back at around 300 pounds, Lee joined another gym — this one boot camp style — and, again, lost a lot of weight quickly. Then, life happened again. 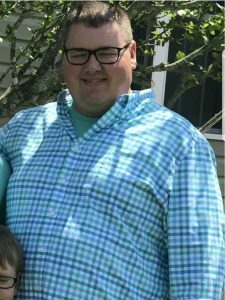 “Weight loss, being healthy and staying fit has been a roller coaster of sorts in my life,” said Lee. “I had settled with the fact that I would always just be the ‘big guy,’” he continued. “Once again, I was around 300 pounds and, at 37 years old, I simply had decided that this is who I would always be,” Lee recalled. 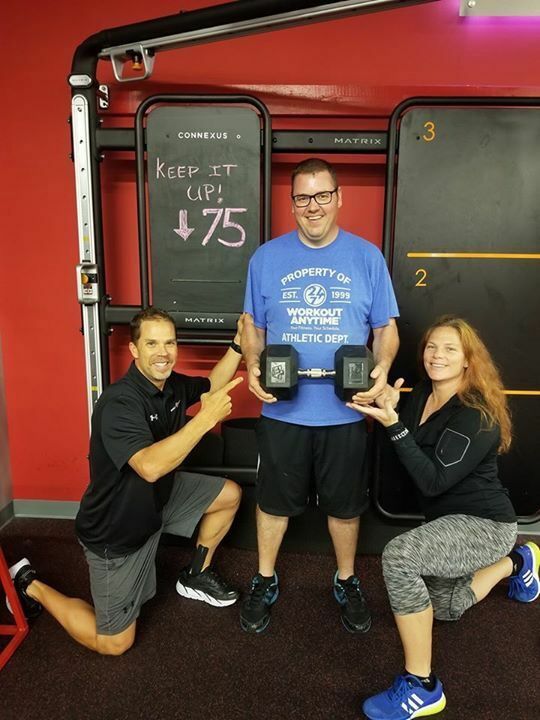 Then, in April 2017, Lee’s parents introduced him and his wife to Workout Anytime Boiling Springs (SC). “Honestly, I wasn’t excited; I felt like I had ‘been there, done that’ with other gyms. But, my folks kept hounding me and offered to sign us up and pay for the membership. I figured I would give it one last chance,” said Lee. The first trip didn’t go well. According to Lee, “my wife almost literally had to drag me out of the house. I didn’t want to be there. I was determined not to disappoint myself again by getting on that same roller coaster.” But this time would be different. “In my past gym experiences, the staff would maybe show you how to use the machines and then you were on your own. At Workout Anytime, [Club Manager] DJ and [Fitness Manager] Raquel taught us things about nutrition, body types and fitness that we’d never heard before,” explained Lee. “I was eating close to 6,000 calories per day and a lot of it was in the form of fast food. Raquel helped me understand the optimal calorie range for my body type and developed a workout for me. A few weeks later, the weight started coming off faster than it ever had but I was still skeptical. I just thought it was water weight,” Lee remembered.